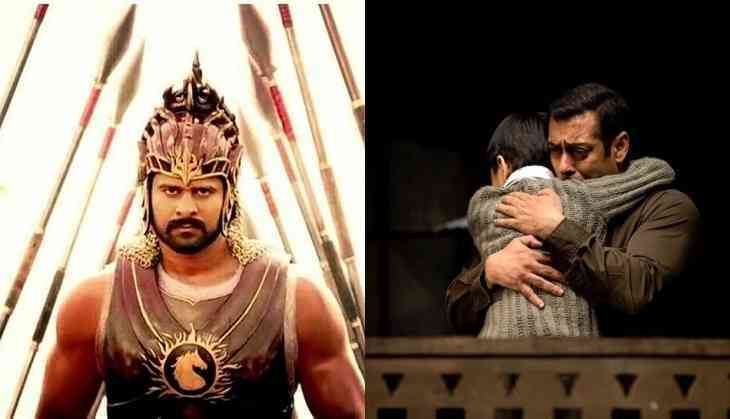 Home » Bollywood News » Baahubali 2 defeats Salman Khan’s Tubelight: Gets Rs 475 crore even before its release! Salman Khan’s Tubelight was recently in news for recording highest table profit till date in India as the makers minted approximately Rs 250 crore even before the film release. While the record seemed to remain unchallenged for a while, SS Rajamouli’s upcoming film, Baahubali 2 has not just challenged the record but also broke it by a huge margin. Baahubali: The Conclusion has raised earth shattering pre-release revenue of approximately Rs 475 crore thus being the highest ever. Also Read: Baahubali to re-release on 900 plus screens; Will it set the box-office on fire again? Owing to the unprecedented demand for the sequel, the distributors across the globe were ready to shell out unheard amount to get the rights of the film which releases on April 28. However it must be noted that while the Salman Khan film releases merely in Hindi, Baahubali 2 is releasing in multiple languages across the globe. Baahubali: The Conclusion stars Prabhas, Rana Daggubati and Anushka Shetty in lead.